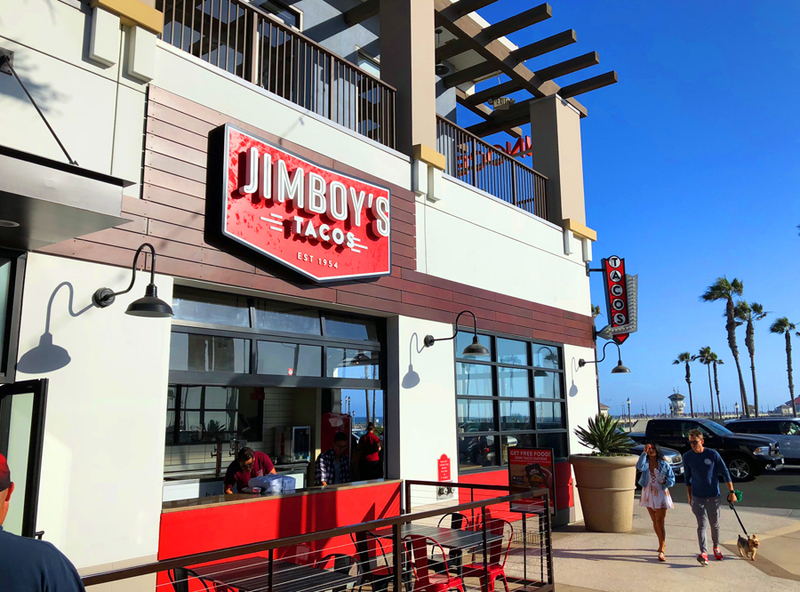 We are thrilled to say that JIMBOY’S TACOS has arrived in Huntington Beach! 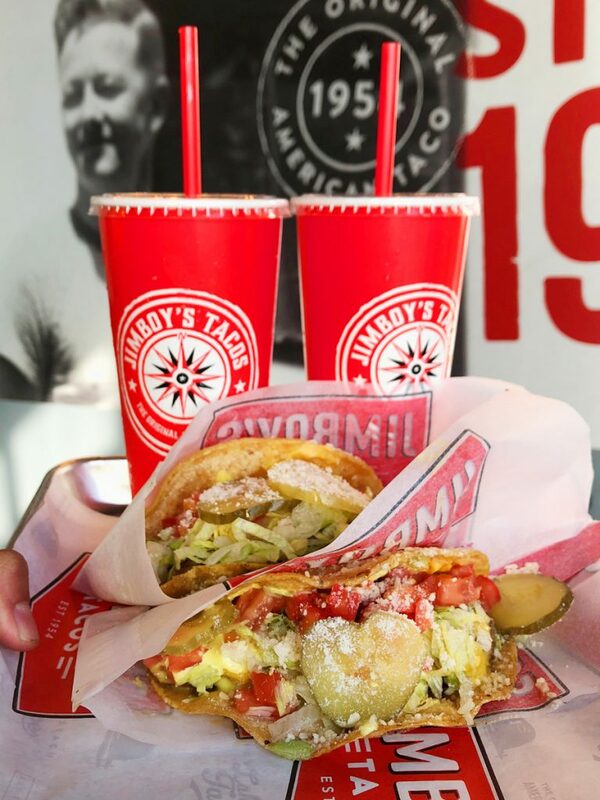 Located in the heart of downtown Huntington, Jimboy’s Tacos brings a vibrant vintage vibe to 5th & PCH. 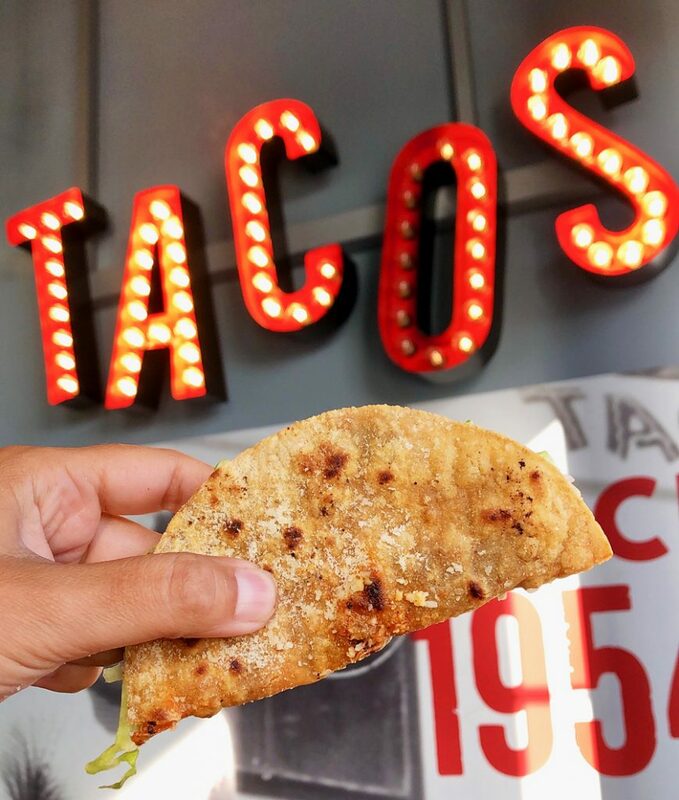 Jimboy’s classic design elements, mural wall and decor representing a homage to the food trailer where Jimboy’s Tacos first began in Lake Tahoe in 1954 welcome and invite all to come inside and partake of their delicious menu. With the ocean breeze in our hair, the sunset in the background, Tony (my hubby) and I sat down for a feast like no other. 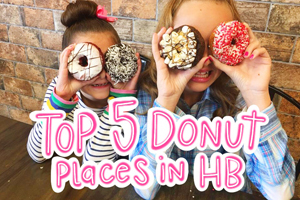 Check out our sweet date night to try this new and AMAZING addition to our great town! Also Keep Scrolling to WIN a $50 GIFTCARD TO JIMBOY’S TACOS or click HERE to ENTER! The Grand Opening is July 21st at 11:00am! Come enjoy FREE TACOS and FUN PRIZES! So this is the view from our table. Pretty amazing right? 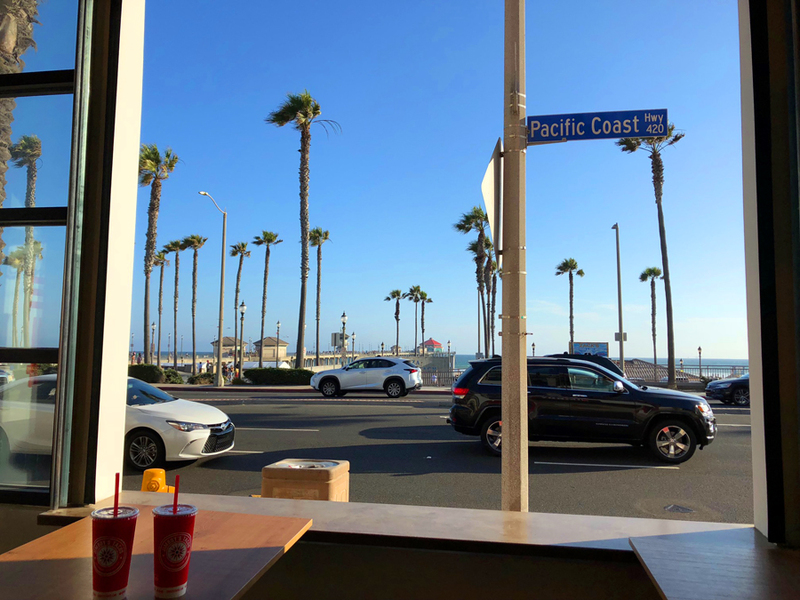 The Huntington Beach Pier and Pacific Ocean framed in our window made like a postcard! Love this place! 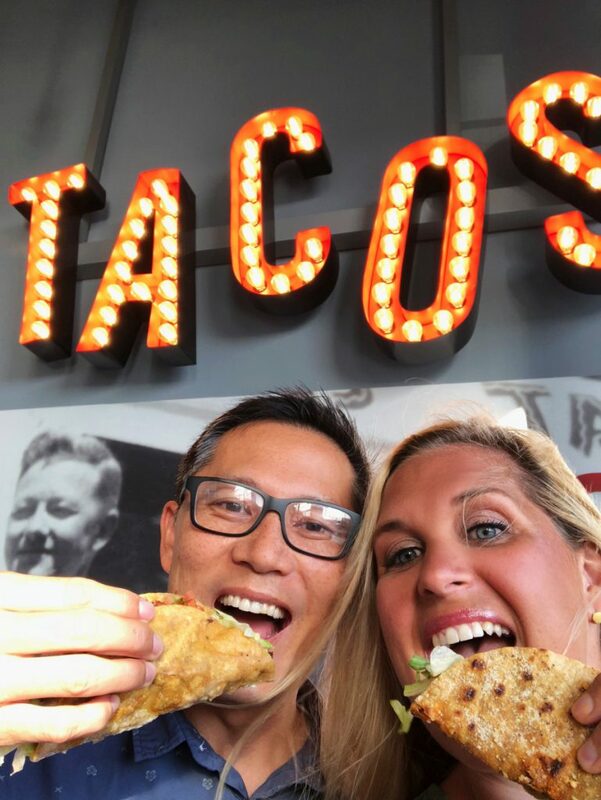 Place your eyes upon Jimboy’s signature Original Ground Beef Taco made with seasoned ground beef, freshly shredded cheese, and lettuce encased in a crispy, stone-ground corn shell dusted with parmesan cheese. This is the taco that started it all and definitely did not dissapoint. Yum! For only $8 you can get this Jimboy Box which includes 2 Original Tacos, beans (which were sooo good!) and rice. Perfect for sharing and a great date night! Tony loved on this Smoked Brisket Taco. Smoked Brisket is only available at our Huntington Beach location, how special are we! 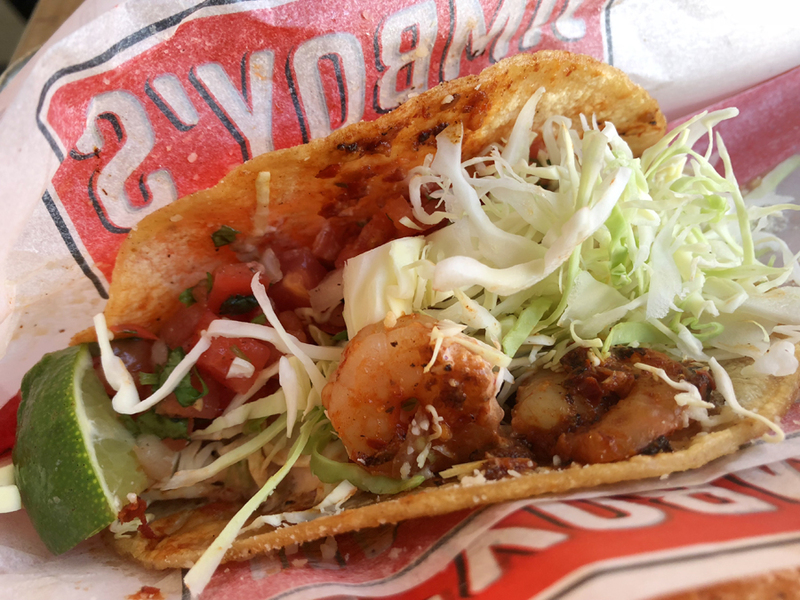 There is also a Kickin’ Shrimp Taco that was the perfect amount of spice, mild heat and kickin’ flavor. 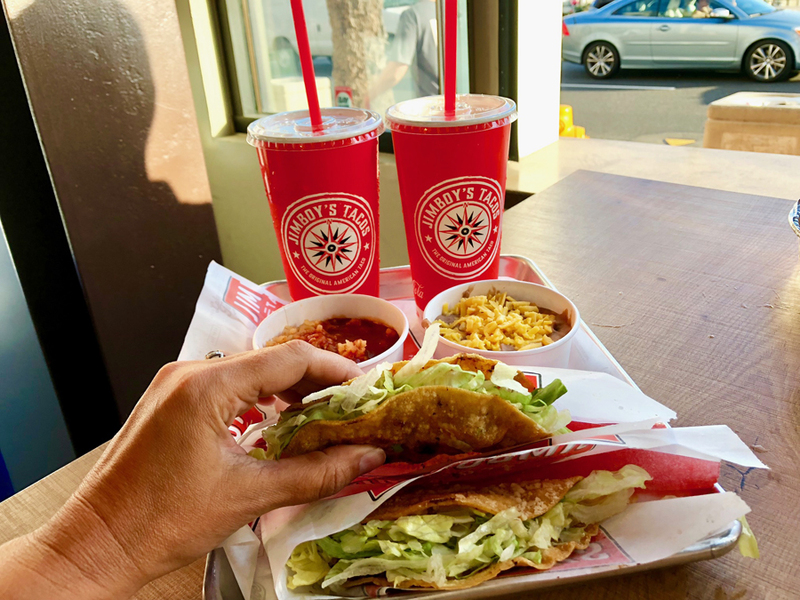 The Surf Taco is made from Wild Pacific Cod and spiced with Avocado Ranch Sauce that was to die for! 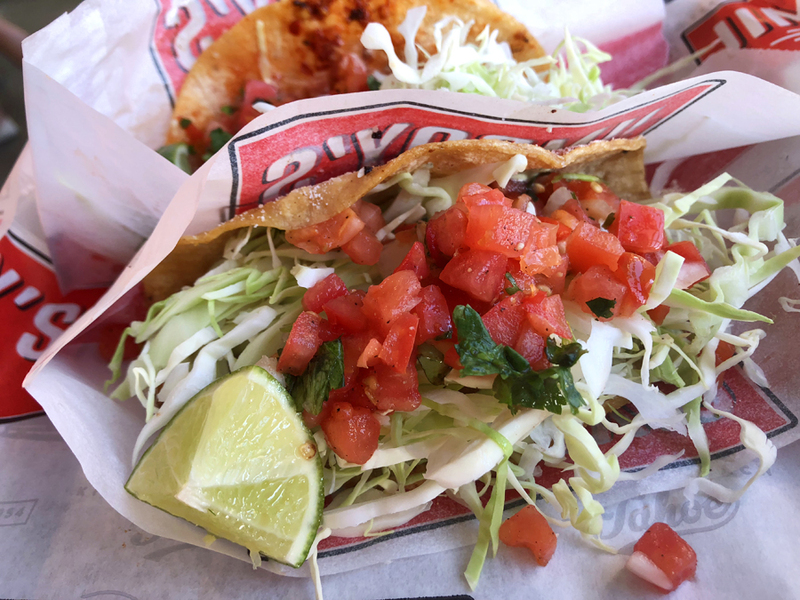 The last tacos we tried were the Hamburger Tacos. This unique taco is the owners favorite! When you want a burger, but you are in a taco place, this is definitely the one to try! The Tahoe Nachos were drenched in queso and layered with all the fixings you would ever dream of. 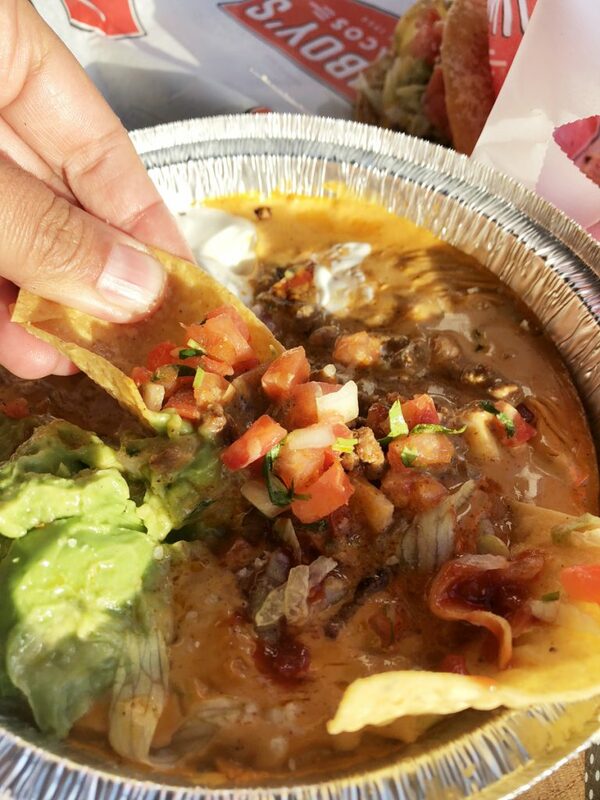 Check out the Loaded Queso. We loaded this warm yummy goodness on top of all of our tacos, ate it plain and scooped it up with chips! Don’t forget the Queso! My favorite dish was the TaquitO-M-Gs. 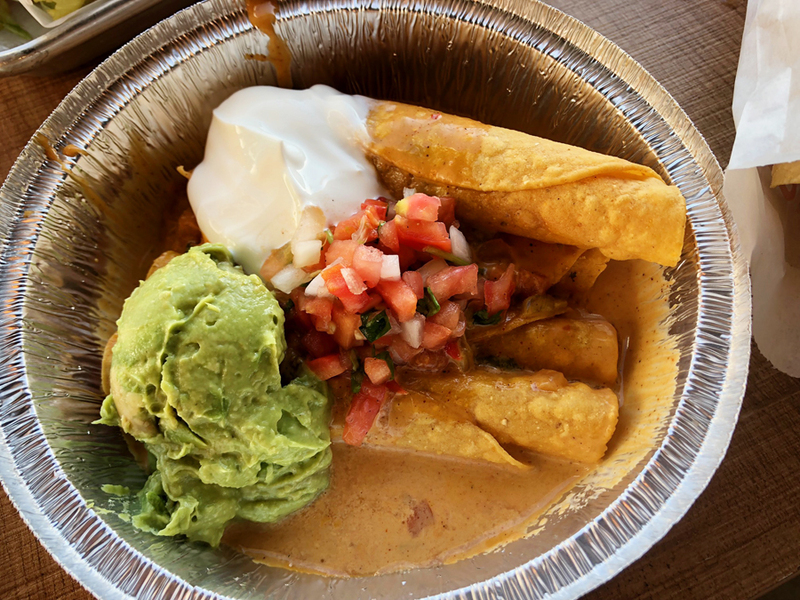 Bathing is thier queso glory, these crunchy taquitoes were filled with tender meat and covered in guac, sour cream and pico. Sooo good! 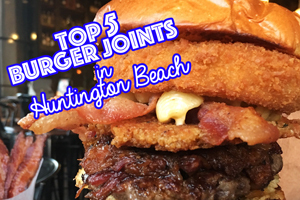 If you want to get creative with your food, Jimboy’s came up with a new “MASH-UPS” menu! This is great for the person that wants total control of their plate. 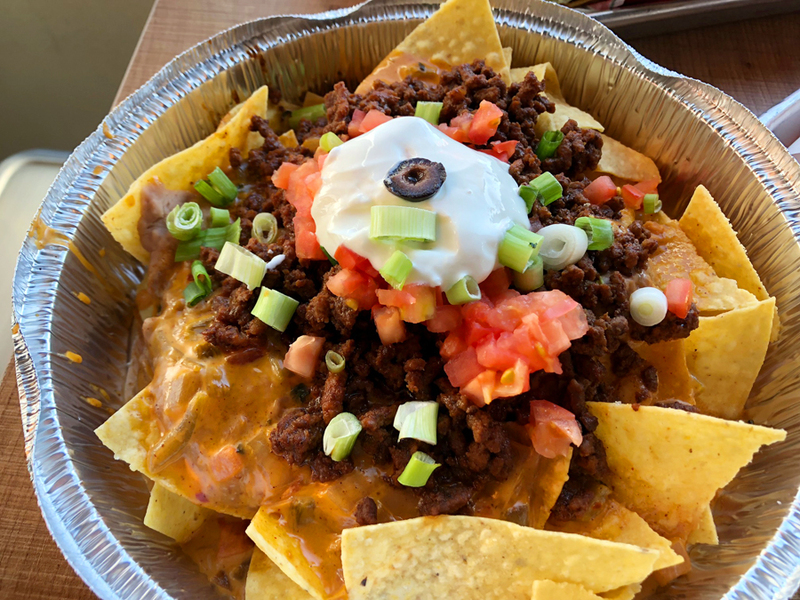 You can select your base meal (taquitos, nachos, queso fries, queso or quesadilla), “pile it on” (choose your toppings including meat, cheeses and more) and then “top it off” with 4 free toppings (including bens, pico, parm, sauces, etc). Love this so much! 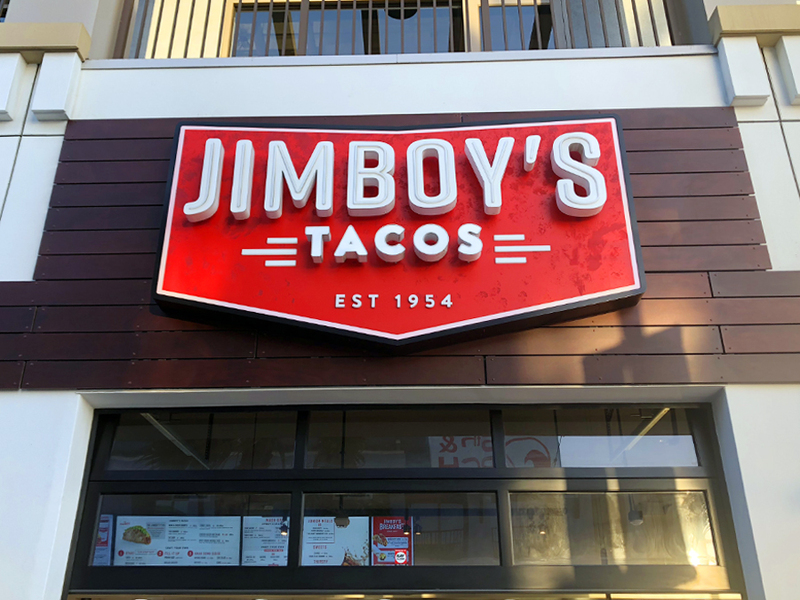 Don’t miss out on the GRAND OPENING of Jimboy’s Tacos THIS Saturday July 21st at 11am! 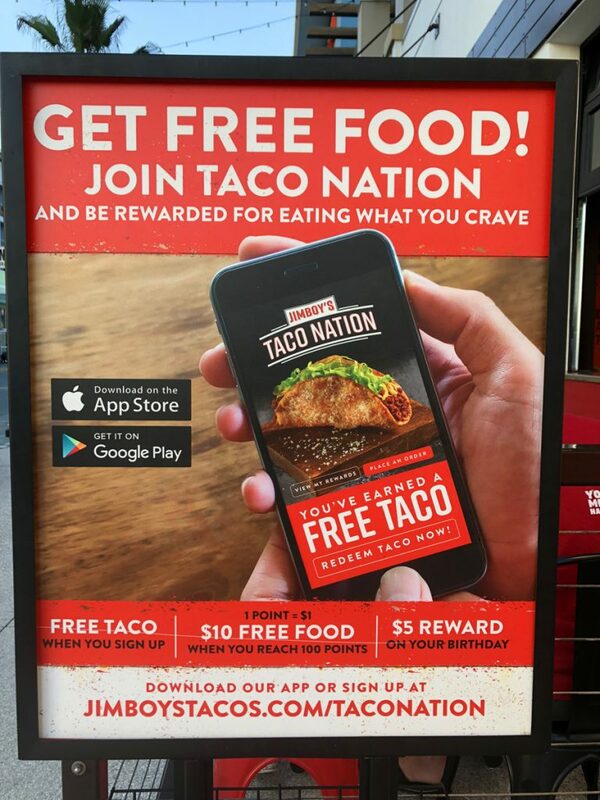 Also get a FREE TACO when you join Taco Nation in your app store! WELCOME TO HUNTINGTON BEACH JIMBOY’S TACOS! 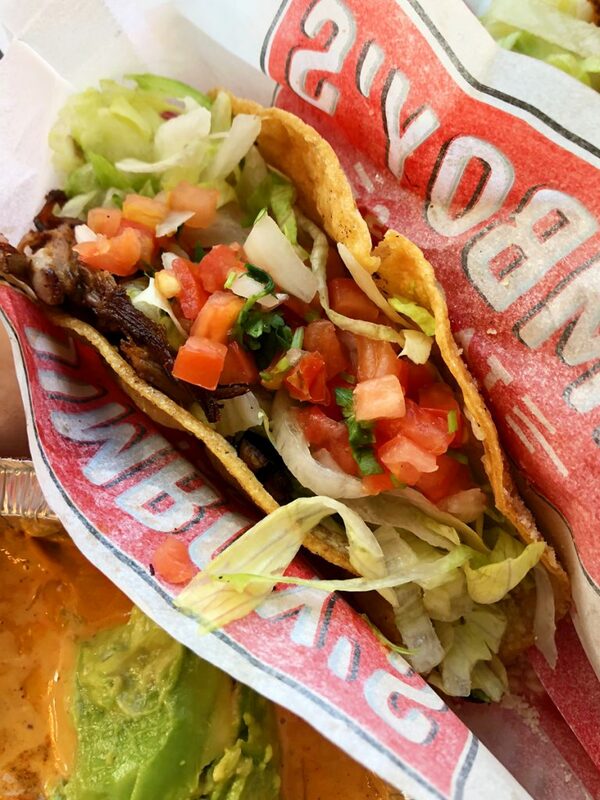 WANT TO WIN $50 to JIMBOY’S TACOS? Entering is SIMPLE! Head to our Facebook Page HERE to find out how to win! GOODLUCK! Hope to see you there! « ANTHROPOLOGIE & PIGGY AND DIRT GLASS STAR GIVEAWAY! These tacos look so good!!! Yum! So good, I’m addicted!